5th Jan 2018 - What can we expect in 2018? 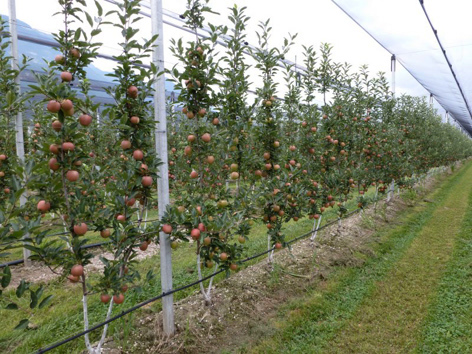 How will 2018 unfold for our apple and pear growers? 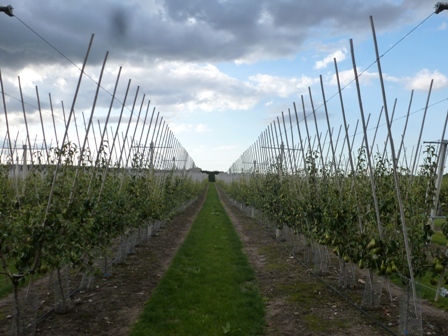 Quote: "What I hear from most growers at present is the concern surrounding the ever decreasing pool of available overseas workers and the future of the SAWS scheme. EAM: This refers to the Seasonal Agricultural Workers Scheme (SAWS) - which used to regulate the labour requirements for harvest work in the UK: See SAWS Published 12 September 2013 The government brought SAWS to an end; based on Romania and Bulgaria becoming members of the EU, in anticipation of adequate available migrant harvest workers. 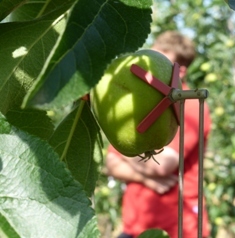 Quote: Without sufficient pickers, the volume of apples being picked at the optimum time for long term storage will reduce. 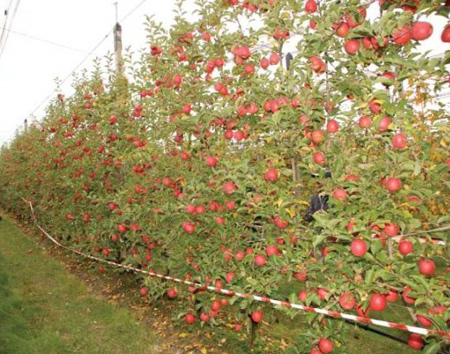 Storage potential of late picked fruit will be adversely affected and there is a danger that some fruit is picked so late that it has to be marketed very quickly. 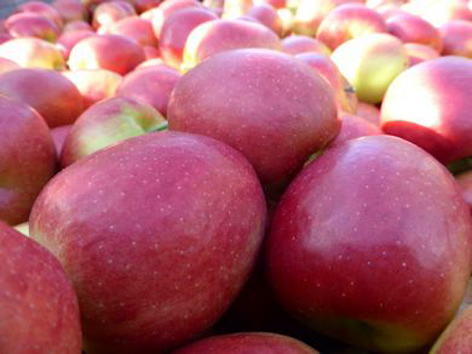 -	Labour availability and quality for harvesting and Packhouse operations. -	Increases in minimum wage and reluctance of retailers to pass on the costs to customers. -	Increases in automation in factories - less labour, more robots. -	Export opportunities but we need trade agreements in place. -Water shortages in RSA (South Africa). Drought conditions impacting the supply and demand equation. EAM:The recent news that Tesco is promising a 'no waste' policy will drive all retailers to address the problem of waste (that's waste food and waste packaging)..
Quote: Sainsburys; "I think its more of the same- continual drive to improve efficiency / reduce waste and if not grow at least maintain sales of top fruit, continuing to work direct with growers: Also - Plant based further processed products appear to be on trend - not apples but a fruit - JACKFRUIT appears in our new range"
"Whilst it was a popular trend in 2017, it's going to be even more popular for 2018 as a lot of people are making an effort to cut down their meat consumption. In fact, according to the Mintel Meat-Free Food Report, 91% of the nation is adopting a flexitarian approach to eating"
"Sainsburys just launched our innovative new plant-based products for those who are looking for meat-free alternatives. - by Sainsbury's Sweet & Smokey BBQ Pulled Jackfruit (£3), a UK supermarket first, Jackfruit is a sweet and juicy fruit which tastes like a combination of apple, pineapple, mango and banana. It's perfect in your tacos or shredded over the top of a burger, a top vegan choice". -	Robotic harvesting. Will happen in the US in 2018. 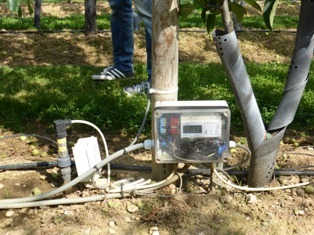 -	In situ sensors in orchards, measuring leaf colour, evaporation rates, sap movements, carbohydrate production etc. 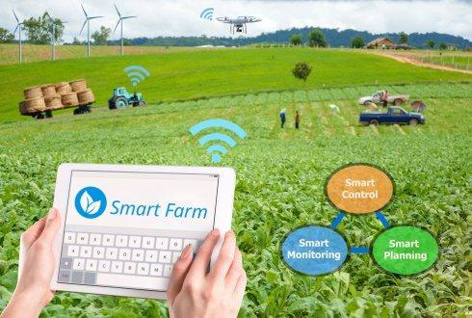 Quote: Smart agriculture tools are widely utilized in precision farming as they have resulted in improving farm efficiency and has helped farmers maximize their crop yields. Moreover, yield monitoring is a major application of precision farming that helps identify the field variability information, which includes weather conditions, soil properties, and fertilizers. Soil monitoring is a major application of yield monitoring, which helps identify different soil parameters to maintain the nutrient level of the soil. Quote: Polysulphate is a new fertilizer, high in sulphate, available in its natural state, and mined in the UK. A unique benefit is its additional natural content of other macronutrients. Polysulphate TM fertilizer comes from the polyhalite layer of rock, over 1000m below the North Sea off the North Yorkshire coast in the UK. 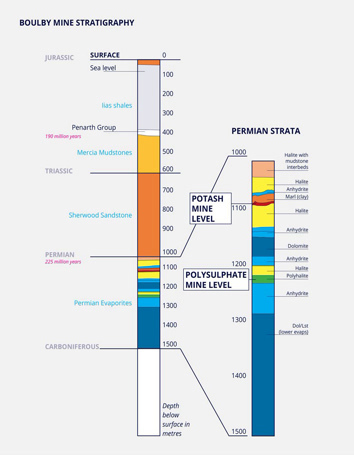 Deposited 260 million years ago, it lies 150-170m below the potash seam at the Cleveland Potash Boulby Mine. Polysulphate is available as both a granular and powder product. The 2-4mm granular product has excellent spreading characteristics and is an ideal fertilizer to apply alongside straight nitrogen. 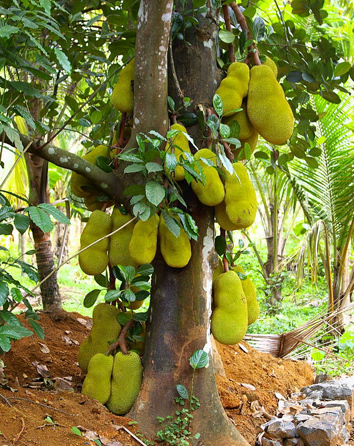 -	Moving towards formal tree management. V systems, intensive single leader, horizontal twin stems. All about maximising class 1 yield. -	Shift away from traditional varieties, club varieties becoming more important to growers sustainability. Quote: "New developments centre on changing from wooden tree stakes to metal ones". 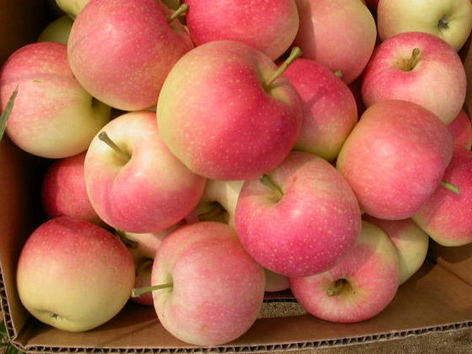 NOTE: There are a number of 'Club Varieties' making progress in the top fruit variety list, however Pink Lady (not grown in UK) and Jazz are 'globally produced' and 'globally consumed' - Pink Lady and Jazz the leading Club apples consumed in the UK. Quote: "I would say the most significant development will be the eventual loss of copper as a fungicide once the current emergency authorisation expires. 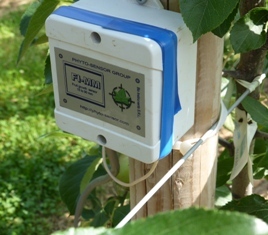 This will affect both apple canker and bacterial canker control in tree fruit crops and with few alternative treatments available could lead to increased incidence of these devastating diseases"
EAM: Canker can be devastating and is prevalent in most apple orchards, with some varieties very prone; Gala the most popular apple grown in England is particularly prone; Kanzi and Jazz (both have Gala as a parent) are also very challenged by Canker. EAM: Lots of developments to distil, but the most important - the 64,000 dollar question: "What will the Government's policy towards UK Farmers & Growers be post Brexit???? Quotes from Michael Gove's presentation: "New trade deals with other countries outside the EU would provide new markets for the "superb food" Britain's farmers produce, Mr Gove said. Minette Batters, deputy president of the National Farmers Union, welcomed incentives to protect the environment but said her key concern was over future trade deals. She said: "We're very proud of our high standards of environmental protection, of welfare, in the UK and we want those to be respected in any trade negotiation and we do not want to see cheaper food produced to lower standards."